Last summer, the Environmental Protection Agency declared all 51 miles of the river navigable. This summer … well, it looks as if beginning July 8 for 50 bucks a person you’ll be able to kayak three miles of the rio through the idyllic Sepulveda Basin. For the full scoop, read Louis Sahagun’s piece in today’s Los Angeles Times. First off, this pilot program must win the approval of the U.S. Army Corps of Engineers. Next,the Los Angeles Conservations Corps and the Mountains Recreation and Conservation Authority will partner up to offer these wet-n-wild trips. Details to follow. A shout out to George Wolfe, who was willing to break the law to get this rolling. Another shout-out to Councilperson Ed Reyes, a champion of the river. 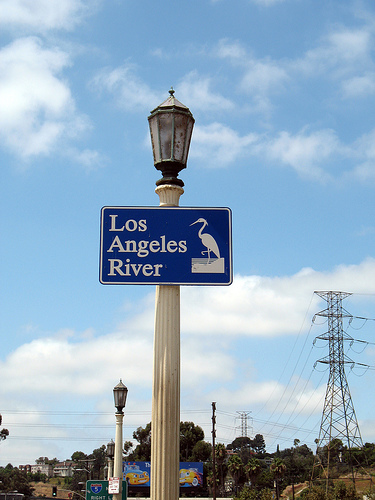 And to the many, many others (blogger Joe Linton comes to mind) who have pushed, cajoled, persuaded, informed, and insisted that the Los Angeles River must be transformed from a concrete channel to a natural river, for the people’s use and enjoyment.